I love the delicate vintage vibe of these nail wraps, and for $1.69 USD (14 pieces), it's kinda hard to argue with that value. I wanted to do high tea or something equally fancy so bad while wearing these--wouldn't they look awesome while I'm sipping out of dainty china? It did take some trial and error, so I have some tips/general thoughts if you're new to this stuff too. 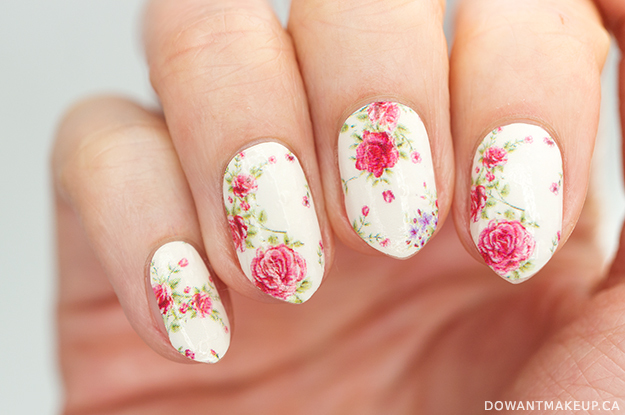 First, due to their shape, these are best on nails with relatively straight sides. You can see that the nail shape of my little finger is oval-ish, widening in the middle before tapering again, which causes a lot of naked nail to peek out along the sides. 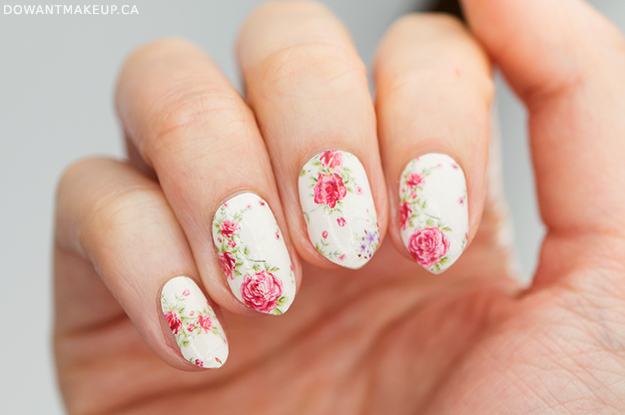 If you're only planning on wearing your nail wraps for a day or two, you can skip the base coat, which will make them easier to remove later by peeling them off. 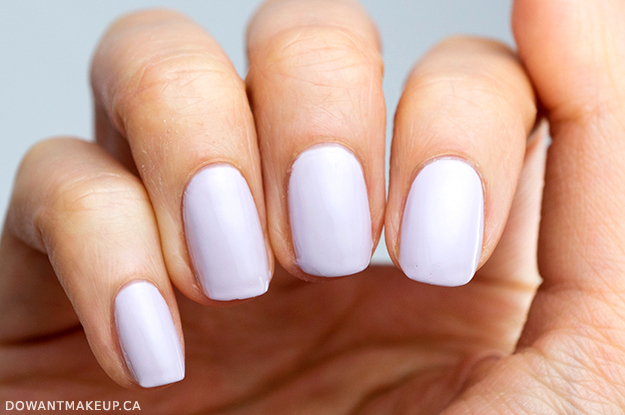 For added longevity, wear both a base and top coat, remembering to cap your tips. I've noticed a very slight bit of funny bubbling and wrinkling occur after applying my Seche Vite top coat, but the extra shine and durability is worth it if you ask me. Something else to note: I applied them with top coat and then went to bed. In the morning, I took a shower and then took my swatch photos. I did pretty much nothing else with my hands up until that point, and yet it was already showing slight tip wear. I think the heat and moisture from my shower also caused additional bubbles to form :< These are a fun option for a few days if you don't do too much with your hands, but the durability is not great. Remove the paper cardstock-like backing. It's thin and may take you a few tries to separate from the nail wrap. Position the nail wrap and smooth the wrap on the nail from the cuticle, only just down the centre of the nail length-wise. Using a smooth, rounded tool (I use the handle end of a nail art brush), smooth the nail wrap from the centre outwards. It will not sit perfectly on the nail yet because of the plastic film. Remove the plastic film on the top side. Because of the thinness, it is tricky to find the edge to separate from the nail wrap, and takes some patience. It's the hardest/most annoying part of the whole process. Smooth the nail wrap down again with your rounded tool, always working from the inside out. Be sure that the edges are fully sealed to the nail. 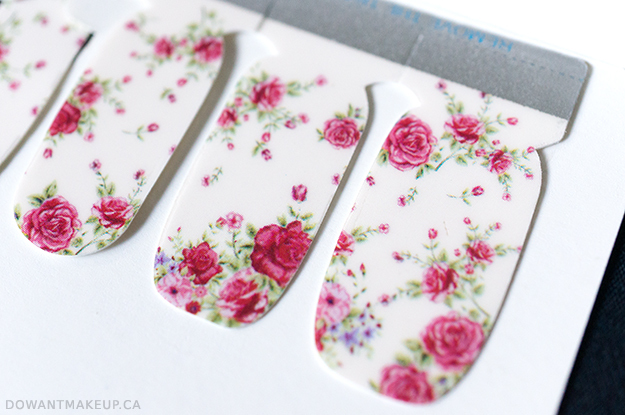 Use a medium grit nail file (~180) to remove excess nail wrap from the tips. You want to file in a downwards motion to encourage the nail wrap to wrap itself underneath the free edge of your nail. I'm back with more from ArtDeco's Fall/Winter Mystical Forest collection! I posted about one of the nail polishes previously, but makeup always takes a bit longer to test and photograph. Today I'm sharing some details and looks using the lip and eye products, including a unique eyeshadow system! Though it's a seasonal collection, these shades are still available for purchase online at retailers like Beauty Bay. 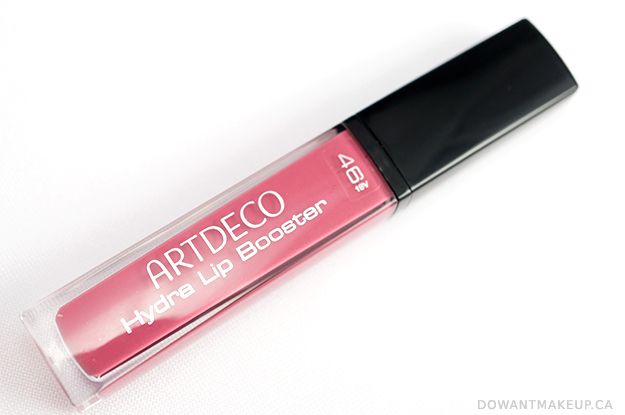 Hydra Lip Booster is a lip gloss that promises translucent colour, shine, and hydration all in one. 46 Translucent Mountain Rose is a neutral-toned dusty rose; on my discoloured lips, it evens out the discolouration just a bit but dark spots are still visible. 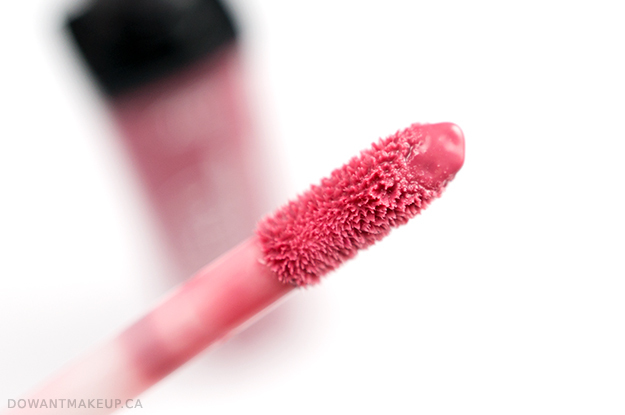 This would be a great staple in a lip wardrobe, since the MLBB-ish soft rose shade pairs well with any makeup look. Application using the standard doefoot applicator was very smooth, and it doesn't settle into lines. I hate glosses that feel super thick and sticky, so I'm glad that this one wasn't too heavy and very comfortable to wear. The formula is forgiving even if you have chronically-dry lips like mine. 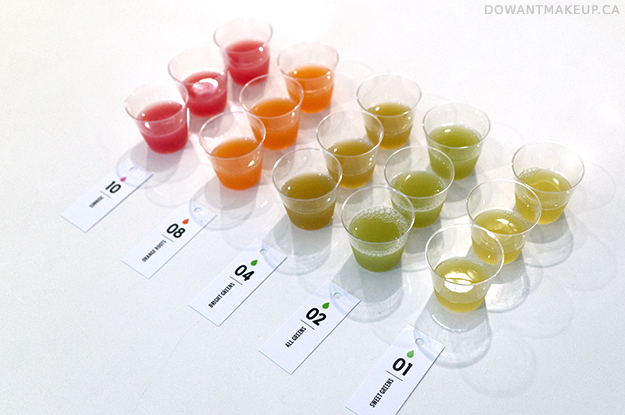 I recently took up an invitation from Commodity Juicery here in Vancouver for a menu tasting to check out their assortment of vegan juices, smoothies, and food options. The bright, cute little shop in the Riley Park neighbourhood on Fraser has seating for just 5-6 people--most of the space is taken up by their open prep/kitchen area, and a majorly impressive giant juicing machine. I invited my brother and SIL along for company and to gather extra feedback. Although we all enjoy eating fruits and vegetables, none of us specifically seek to "eat healthy" or "clean", so I knew this would be an interesting experience. 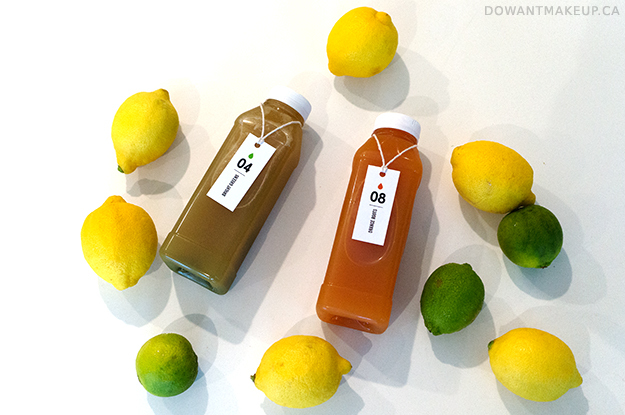 Juices are $10 CAD / 16 oz and all made in-house with the giant juicing machine. The machine uses cold-pressing (squishing all the juice out of fruits and veg) rather than blending and straining the juice out. It's explained to us that the heat generated from using centrifugal force can deteriorate some nutrients, which is why Commodity uses only cold-pressing techniques. Mylks ($12) are also available; the term seems to be a catch-all for all liquids made from nuts, such as cashews or almonds. I tried a sample of the almond mylk that's used in the Cheeky Monkey smoothie and was surprised at the very neutral taste. Sooo I actually did this nail art last year for Valentine's Day, but didn't get around to posting it in time lolol. Story of my life, etc. Well, a year has passed so I can finally post it! To contrast with the super-sweet hearts, I wanted to use an unconventional Valentine's Day colour. I went with China Glaze Too Yacht To Handle, a beautiful bright teal that contrasts beautifully with the white of OPI Alpine Snow. Maybe it's fitting that I did a heart nail art look with teal: anything in that green-blue, turquoise-y range makes me weak in the knees. Damn glare... 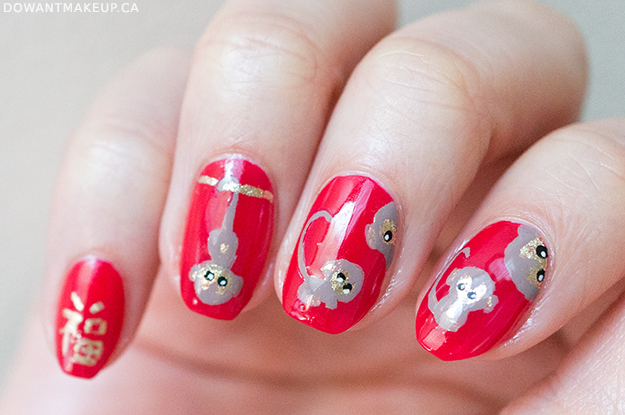 It's not my best work, but I had a lot of fun painting little monkeys scampering all over my nails. I used just a single coat of Sephora Formula X Pyrotechnic as a base. This is a beautiful, bright red that applied gorgeously. 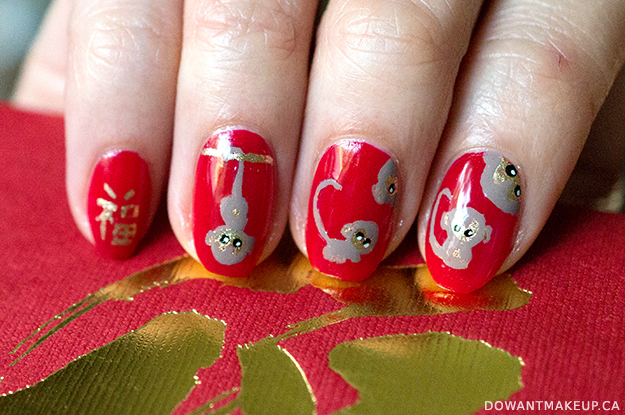 I used Orly Luxe to paint the "fu" character for luck, and also block in the monkeys' silhouettes. 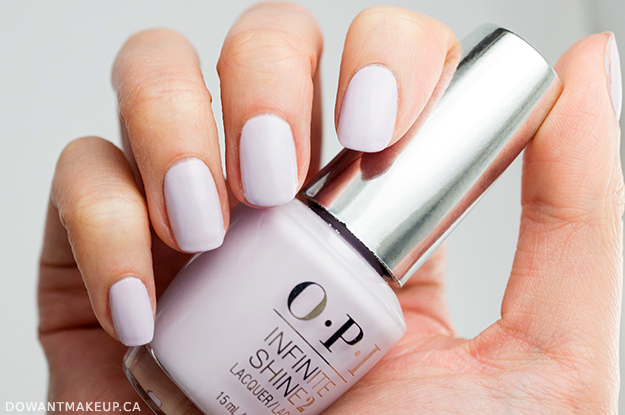 Then I used OPI Infinite Shine in Staying Neutral to colour in the bodies and head. (I didn't have a proper brown polish, so I made do with this taupe shade instead.) Sephora Formula X White Matter and Dark Matter were used for the eyes. Hope you have a safe and happy Chinese New Year celebration! My family stays in for a quiet evening: we have offerings for ancestors and eat a lot of pan-fried bánh chưng (sticky rice cakes with mung bean and pork). 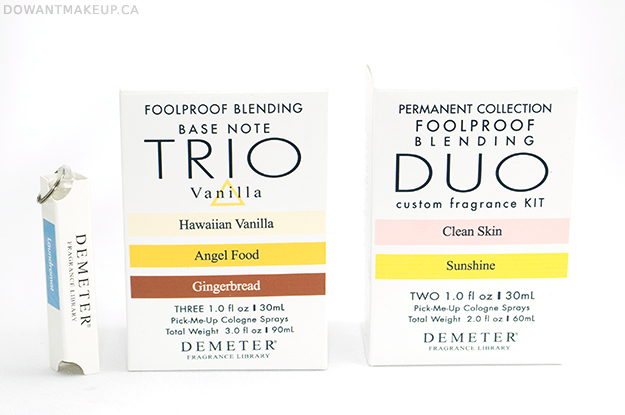 As part of a recent campaign with Demeter and the Canadian Beauty Bloggers, I received two Foolproof Blending kits from Demeter: the Base Note Trio kit with Hawaiian Vanilla, Angel Food, and Gingerbread fragrances, and a Duo Custom Fragrance Kit with Clean Skin and Sunshine. 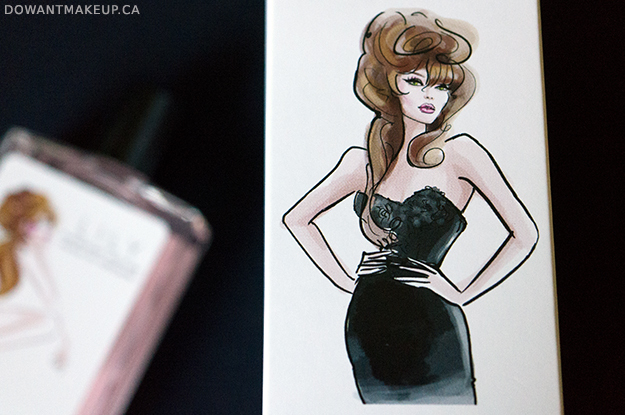 A handy "blending pyramid" on the side of each box breaks down the different types of notes in fragrance. As the name suggests, base notes such as musk and vanilla provide a foundation to build the rest of your custom fragrance upon. Top notes (citruses, etc) are usually the first thing you smell initially, but they can be somewhat fleeting and fade towards the end of the day. 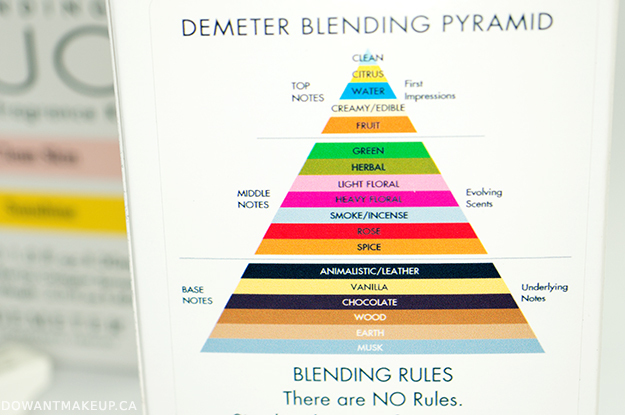 Demeter suggests combining one scent from each section of the pyramid, but they also insist there are no rules to blending, so run wild and blend away!